HOW DOES RESIDENTIAL WINDOW CLEANING AND EAVESTROUGH / GUTTER CLEANING DIFFER FROM COMMERCIAL CLEANING? Have you ever watched a commercial cleaner and thought, “wow, they are so fast!” THAT is just one of the differences between residential and commercial window cleaning and eavestrough / gutter cleaning. 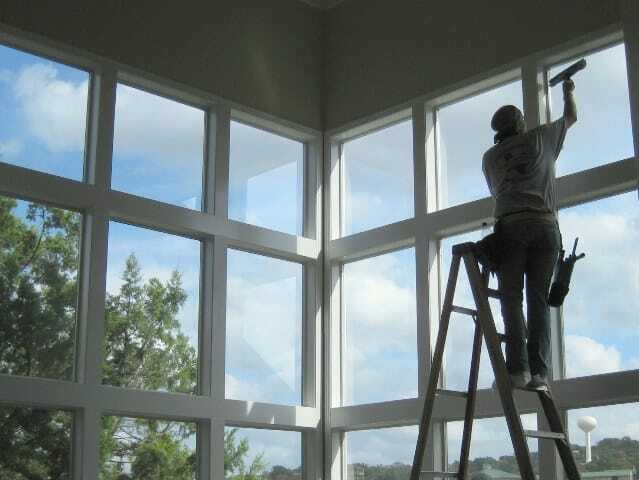 At Toronto Clear View Window Cleaning, we will not hire experienced commercial cleaners, ever, because it simply takes too long for them to break out of the commercial window cleaning and eavestrough / gutter cleaning type mentality. As a result, they do not meet our expectation of the skill needed to tackle what is involved and expected with cleaning a residential property. The fact is that homeowners expect more and that is what we’ve excelled at for 30 years! By using our unique Instant Quote Calculator, you can quickly find out the cost for professional residential window cleaning, eavestrough cleaning / gutter cleaning, eavestrough / gutter guard, gutter protection and whitening.